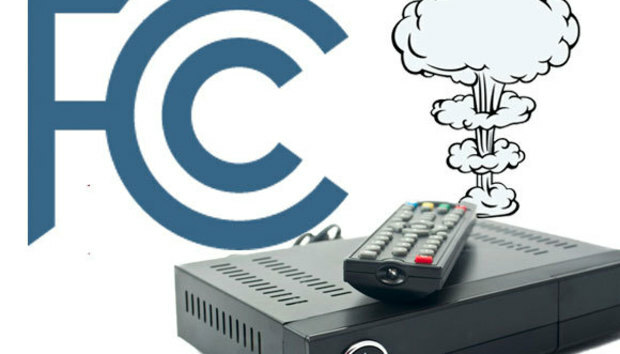 The Federal Communications Commission is overhauling its plan to open up the cable box. Now, the regulatory body wants cable companies to keep doing what they’re doing already, but more so: Making apps and putting them on as many platforms as possible. Cable companies with 400,000 subscribers or less would be exempt from the proposed rules. These new FCC-required apps wouldn’t quite be like the versions you’re using now, though. The proposed rules would require the cable companies to add “real cross-platform search” to their apps. In other words, the FCC would enforce universal search as a requirement. If the proposed rules pass, a Roku box could, for example, present search results with content from Netflix, Hulu, and a cable subscription all in one spot. Assuming, of course, that streaming device makers take advantage of the new search features—which they almost certainly would. The future that could’ve been? The FCC’s reversal from focusing on cable boxes to focusing on apps offers very different implications for the future. Detaching cable feeds from the cable box would’ve meant that any set-top box or smart TV maker (like Apple, Google, or Vizio) could integrated cable content into their new devices. In a way, it would’ve realized Microsoft’s original dream for the Xbox One by offering custom overlays for TV schedules, broadcasts, and on demand programming. It sounds like an idyllic future, but there were a few problems with it. Device and TV makers would’ve had to upgrade their devices to support IP-based video, which is how the FCC would’ve required cable providers deliver their content to the home. It also had the potential to reduce the cable companies to little more than white label services, which had to sit poorly with the providers. In some ways, the app proposal is a compromise. Cable providers are no longer reduced to white label status, but subscribers still get access to their content on any popular device they want, and with universal search to boot. The story behind the story: With the focus now on apps one wonders if the FCC’s plan is really needed at all. Cable companies—not to mention individual channel owners—are already getting into the spirit of apps. Do we really need the FCC to hasten a future that is already on its way? The FCC plans to vote on its rules at the commission’s next open meeting on Thursday, September 29, 2016. If the rules are adopted, cable companies would have two years to enter into compliance.